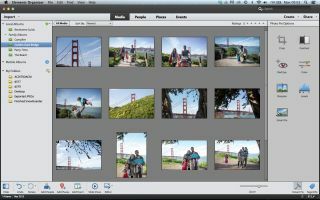 Adobe has introduced a new version of its consumer-level photo editing software: Adobe Photoshop Elements 13, which includes a variety of new features designed to appeal to the beginner user. As before, the new software draws on aspects Adobe's full Photoshop suite but has three different modes that offer Quick, Guided and Expert editing functionality. In the Quick mode there are simple editing functions, such as crop, while the Guide mode walks you through series of steps to produce different looks. The Expert mode is similar in many ways to the full Photoshop software and includes access to editing tools such as Levels. For the latest version Adobe has added new effects, there are now 50 different ones to choose from, including Black and White, Cross Process and Toy Camera. Adobe's research indicates that the most popular editing task most users carry out is cropping an image for better composition, and it's with this in mind that the company has introduced its new Crop Suggestion tool. This analyses an image and looks for faces, horizon lines and so on, and applies rules of classic composition, with several at its disposal. You can also override/revert any changes that the tool makes. A new section of the program called Elements Live draws together inspiration, tips and tutorials from around the web. There's also still the Elements Organiser to help you maintain an overview of your image collection. Other new features include a new slideshow tool and a way to make a Facebook profile and cover photo match up – you can then upload the cropped images directly to the social network. Adobe has also added a 64-bit version with high DPI support for Windows and Retina display support for Mac, making the most of high resolution screens. Adobe Photoshop Elements 13 will be priced at $99, and is also available in a bundle with Premiere Elements video editing software for $149. If you already own any previous version of the software, you can upgrade for $79.